"Great place near all attractions of 1 Borneo." Have a question for YYK 1Borneo Condominium? 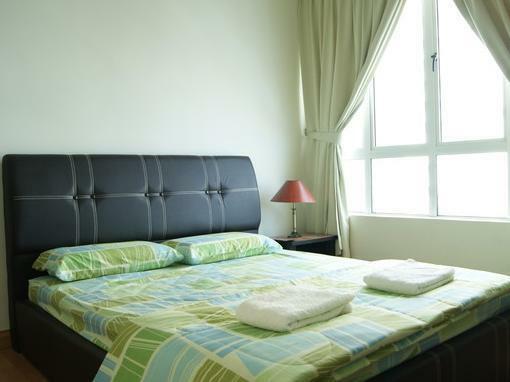 For travelers who want to take in the sights and sounds of Kota Kinabalu, YYK 1Borneo Condominium is the perfect choice for homestay environment. Only 10 Km away, this condominum can be easily accessed from the airport. A haven of rest and relaxation, the hotel will offer total renewal just steps away from the city's numerous attractions such as 1Borneo Hypermall, Hypermall, One Borneo Hypermall. Offering hotel guests superior services and a broad range of amenities, YYK 1Borneo Condominium is committed to ensuring that your stay is as comfortable as possible. While lodging at this wonderful property, guests can enjoy 24-hour security, convenience store, car park, family room, restaurant. The ambiance of YYK 1Borneo Condominium is reflected in every guestroom, whirlpool bathtub, non smoking rooms, air conditioning, desk are just some of the facilities that can be found throughout the property. The hotel offers many unique recreational opportunities such as hot tub, fitness center, outdoor pool, spa. Whatever your purpose of visit, YYK 1Borneo Condominium is an excellent choice for your stay in Kota Kinabalu. great place near all attractions of 1 Borneo. Because of just only 1 key card its difficult to go in and out from the condo and no free car park also add the problem of paying expensive car park fee.. I'm dissapointed. No wifi. No Astro. The place is not maintained. I don't like the smell. The pungen smell make our stay a bit unpleasant. The bedsheets not comfortable and smelly. We forced to washed it the next day..there is so limited card access..
Tower A is better. I'm dissapointed. No wifi. No Astro. The place is not maintained. I don't like the smell. Bedsheet not nice. Its suitable for group travel. Easy access shopping mall, restaurant, swimming pool and lots of other facilities. Recommend for group traveler. spacious rooms for big family with living rooms. parking provided for guest. try to keep up the cleanness and the rates are expensive during the school holidays. the shopping mall is in the same building with the hotel, pefect for the young children to spend their leisure time at the mall. We cant sleep well as the room fills with creepy crawlers ( cockcroach ) and insect. The pungen smell make our stay a bit unpleasant. The place is not well maintain, we still seeing spider web sticking on the ceiling and walls. The cabinet is dirty and smelly. i would not come back to this apartment again. - The elevator so poor, it's took almost 15 minutes just from 6 floor to the ground floor. - The shower water so little and hardly have a good shower. Fully furnished, near to shopping mall and quiet area. The staff was nice and friendly. The facilities was fine, the only thing is the television channel is not good, not much choice and only we can enjoin the TV 1. Is close to shopping and cinema. Shopping is near.. Convinient for childrens..
if you come to kk by grouping! this is the great place to stay.. here it was a home stay. with 3 bedroom, enough for 9 person stay with affordable price. Hi, I have been using agoda for quite a while now and so far I have been satisfied with almost everything. This time around my stay at YKK1Borneo is a big dissapointment.... More over the owner are not maintaining the place very well, I can smell that "old smell" of a house. appartment just average. average condition. average furnishing. advertised with microwave but was not available. friendly landlord and helpfull. great location which is located at one borneo mall. size of condominium is ok, location esp the B Block is a bit far. Air condition in the living/dining room is not working properly- not cool enough. During not office hours, no reception at the lobby so difficulty of trying to get in touch with the reception if you need to ask for something. Only one set of key so difficult to enter if other members of your family want to go out separately. Toilet in the master's bedroom is leaking slightly at its base. Your car is parked in a safe place allocated for you. On my arrival, there was no body at the lobby/reception, so I have to call the number as stated in the voucher. It took me nearly 25 minutes for the person holding the key to come and meet me. convenient as it is located at 1borneo shopping mall, but a bit out of town, not many tourist activities available and also lack of restaurants (except those at shopping mall, but majority fast food), very bad traffic from town to 1borneo. no nite market. not recommended unless you are shopper and prefer a quiet place. Our stay at this hotel was unpleasant, the environment was inconducive and the worst bit was the quality of bedroom's facilities like pillows and blankets, really disturbing your sleep and spoil your holiday. 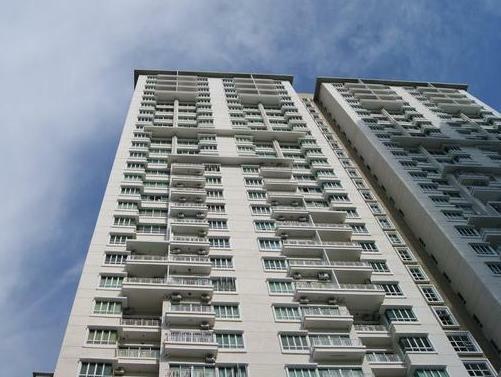 The location of the apartment is strategic within 1Borneo.